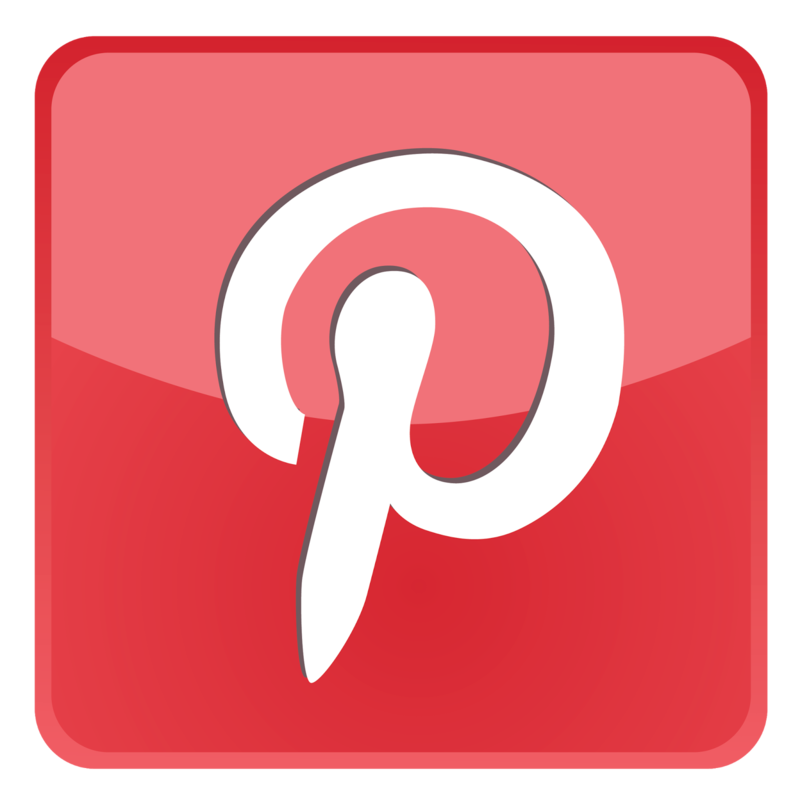 In this article we will look at some ides for paper flower weddings, everything from the bridal bouquet to the reception centerpieces. 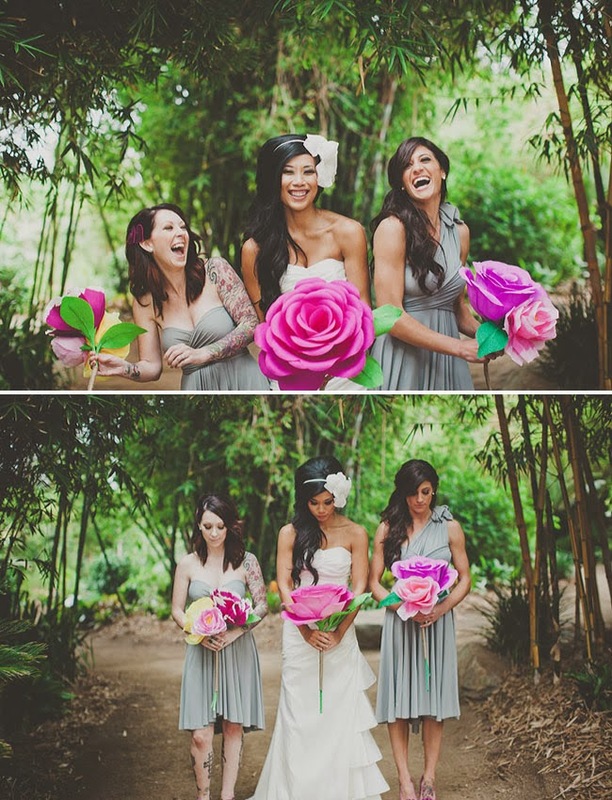 Weddings are beautiful and when you create your own flowers with the colors you love the wedding becomes a fairy tale. 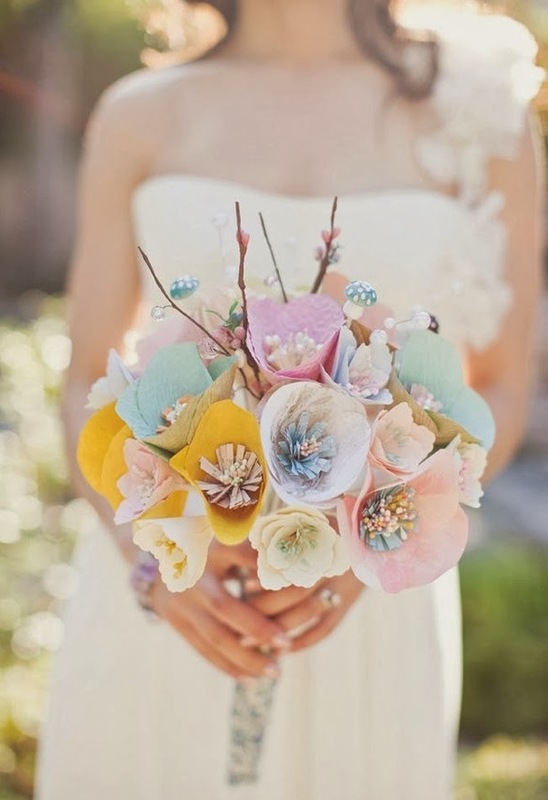 It is not hard to make paper flower weddings at all. 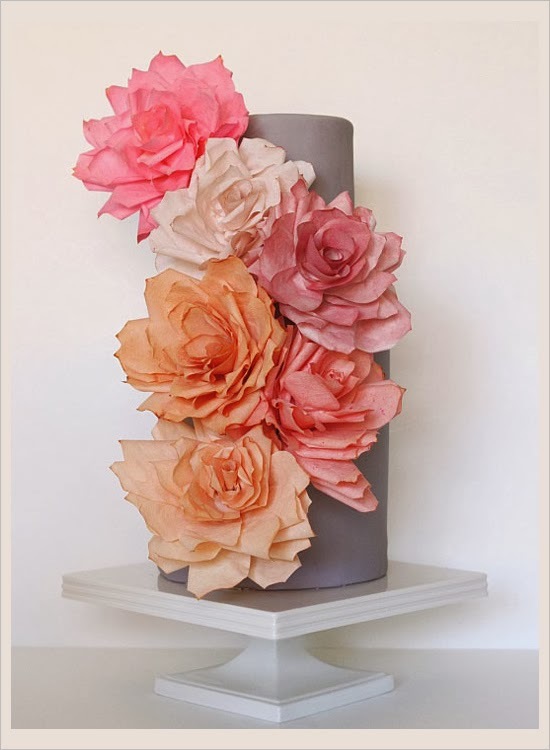 You will need a book on how to make paper flowers, the tools listed in the book and crepe paper. A little imagination does not hurt either but if you do not have much imagination that is okay because we are going to give you plenty of ideas to work with and expand on. 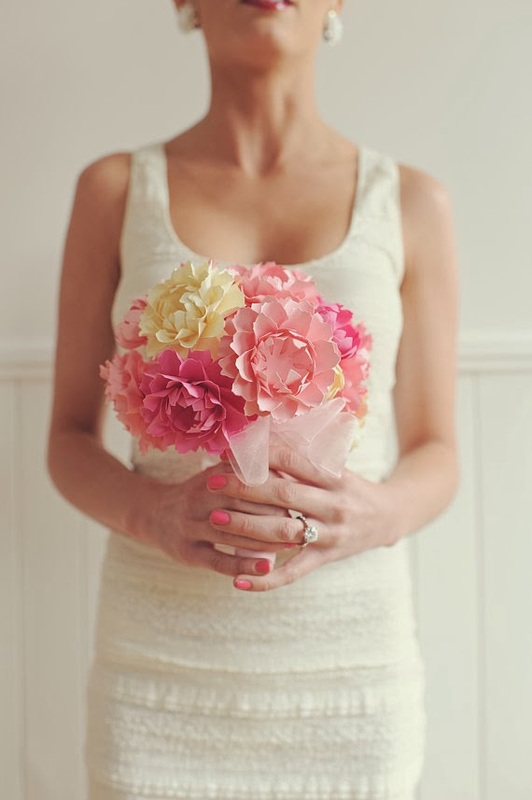 Let us start with the bridal bouquet. After you have decided on the type of flowers and the colors you want in the bouquet you have to decide what type of bouquet you want. You have the cascade, traditional, arm and simple single bouquets to choose from. These are just a few common bridal bouquets you can make there are plenty more if you do not care for any of the ideas listed above. If you have purchased a good wedding flower making book you will have no trouble making the bridal bouquet, the maid of honor, bridesmaid and flower girls bouquets and basket. 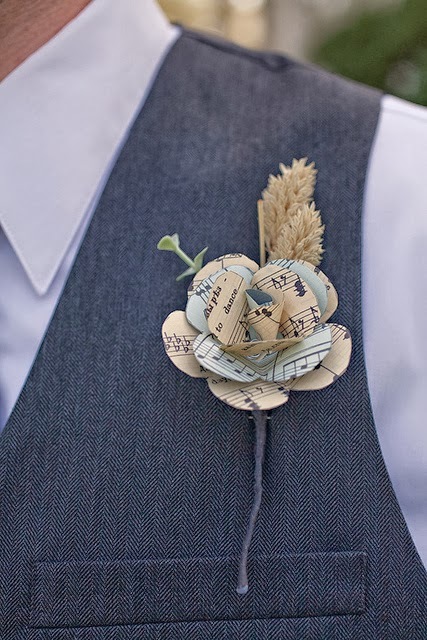 You will also be able to make the corsages, boutonnieres and flowers for the hair or veil pieces. With a little patience and hopefully, with the help of a few family members or friends, they are very easy to make and will not take a very long time. If you have a lot of flowers to make; have a flower making party and you can get it all done in one evening. You do not have to worry about the flowers wilting, all you have to do is just neatly place them in a crush proof box and tuck it away until the big day. Flowers for the church or ceremony area are just as easy to make. 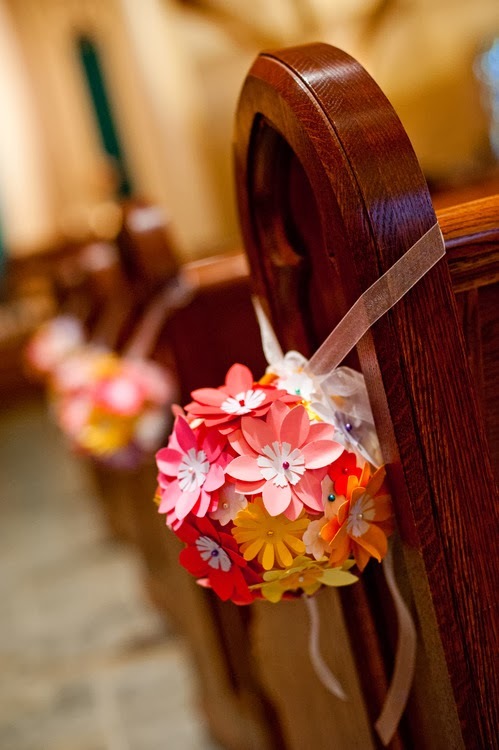 If the ceremony is being held in a church or another place if you have the chairs lined up in neat rows you can attach a single flower to the pew or chairs closest to the isle. Tie a matching colored ribbon around it and try setting the flowers up so the flower and ribbon are facing the isle. The ribbon should be between six and eight inches long. A long ribbon will give the illusion of a more elegant floral decoration. 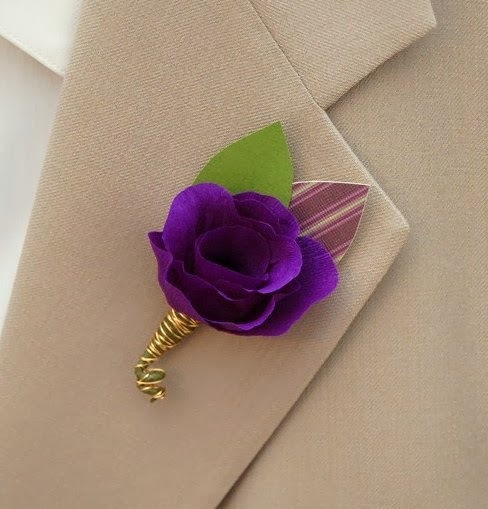 You can also attach one single flower with a ribbon and a bow to each outside chair or end of the pew. This is nice if you do not want a string type floral arrangement that has to moved before the guests can leave their seats. For the reception consider centerpieces for the guest tables, cake table and gift table. They do not have to be overly large. 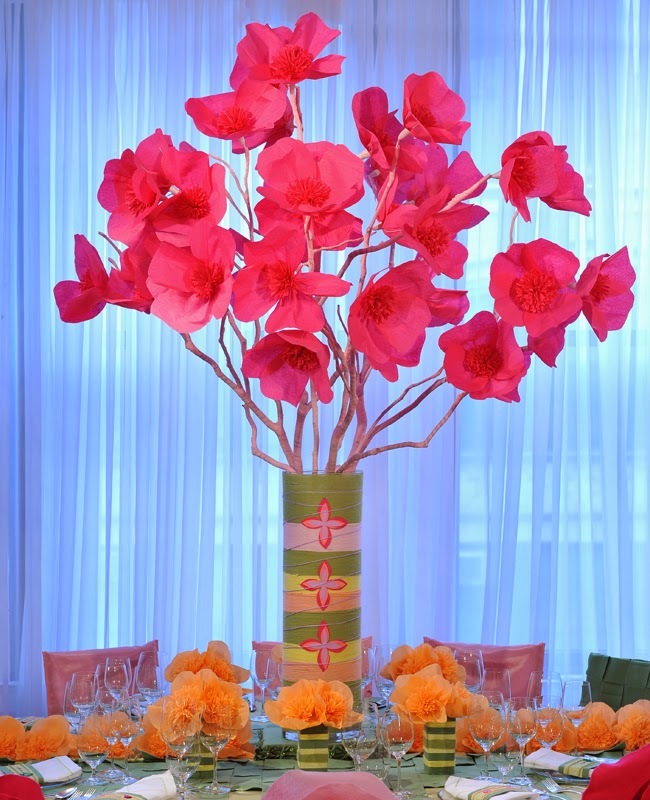 Just a simple floral arrangement that matches the color scheme of the wedding will brighten up the room perfectly. You can also use candle centerpieces and use flowers to decorate the table settings as well. Paper flower weddings are not only gorgeous and inexpensive but they are also worry free - no worrying about whether the florists will delivery the flowers on time, the right flowers or deliver them at all. Your wedding day is one of the most important days in your life and you should be able to relax and enjoy it!